The Supreme Court has pulled up states for not setting up 'Human Rights Courts' yet. Section 30 of the Protection of Human rights Act, 1993 mandates the states for specifying for each district a Court of Session to be a Human Rights Court to try offences arising out of violation of human rights. Later, in D.K. Basu vs. State of West Bengal (2015), the Supreme Court had directed the State Governments to take appropriate action in terms of Section 30 of the Protection of Human Rights Act, 1993, in regard to setting up/specifying the Human Rights Courts. In the said case, it was observed: "There is, in our opinion, no reason why the State Governments should not seriously consider the question of specifying Human Rights Court to try offences arising out of violation of human rights. There is nothing on record to suggest that the Governments have at all made any attempt in this direction or taken steps to consult the Chief Justices of the High Courts of their respective States and examine the feasibility of specifying Human Rights Court in each district within the contemplation of 4 Section 30 of the Act." 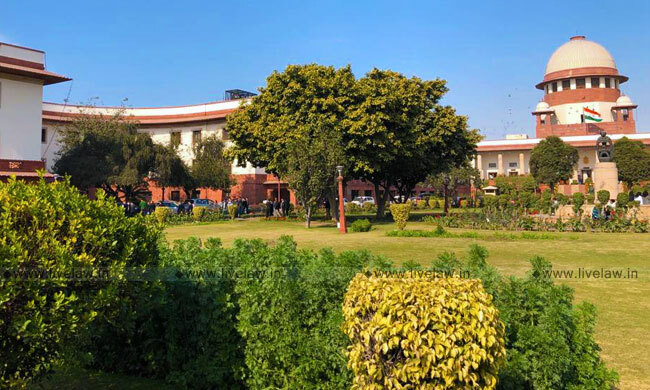 During hearing of a case (Punjab State Human Rights Commission vs. Jatt Ram) last week, the counsel for National Human Rights Commission pointed out these aspects before the bench comprising of Justice SA Bobde and Justice Deepak Gupta. He also told the court that except in few States, there is no compliance of these orders and Session Judges have not been designated as Judges of Human Rights Courts created by the Act. "It is also clear that the setting up of these designated Courts, does not involve any additional infrastructure or additional recruitment of Judges or the staff. We see no reason why afore-mentioned judgment of this Court has not been complied with", the bench said. The bench then proceeded to issue notice to the Chief Secretaries of all the States, and directed them to show cause why such courts have not been set up yet. The matter would now be taken up after eight weeks.